From Island of Elba to Milan and to the Egyptian Museum of Turin. 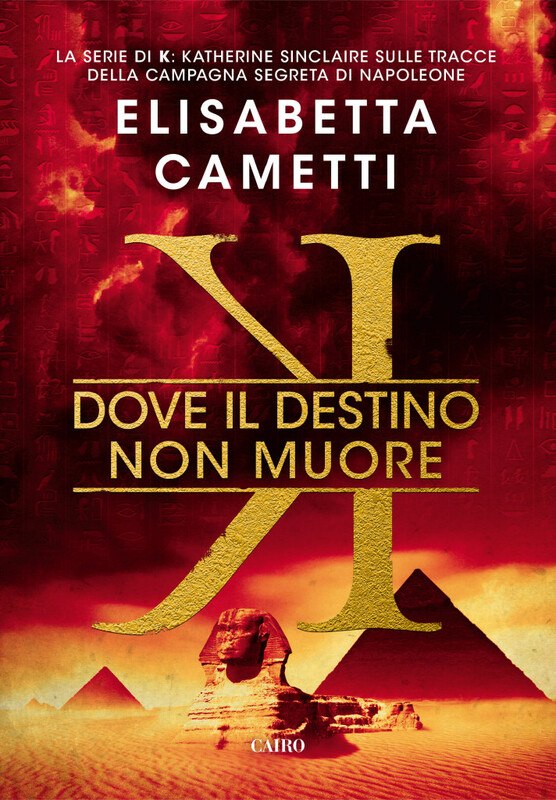 Katherine Sinclaire is ready to discover mysteries behind the secret Napoleonic Campaign in the third novel of K Serie, K – Dove il destino non muore. The custodian of National Museum of Napoleonic Residences knows that his real identity has been revelead. They want to catch him. It will be not easy. He doesn’t want to be captured alive, because that is the epilogue of a plan written years ago. Napoleon’s inheritance is in danger, and he is ready to transfer it to the child he saw growing up. But Katherine Sinclaire is in the dark about everything. She’s presenting her last bestseller in Rome, in a crowded auditorium, and she can’t even think that answers to the biggest questions in history are hidden in her memories about holidays on the Island of Elba. In the background, two secret societies that have been competing for the supremacy over the truth for two hundred years. The first was commissioned by Napoleon himself to protect archaeological discoveries that have filled his feats. The other society is one of the most influential organizations in the world. In the centre of everything, the mystery of the Egyptian Campaign. Katherine will be involved in a conspiracy, which implications could table the course of history and acquired convictions about the most ancient civilizations for discussion. And when she thinks about having deciphered all the found enigmas, she will be trapped in a perturbing family intrigue: the beginning of a new journey that will take her in a future without secrets from the past. A place where fate does not disappear.